A SLICE OF AMERICANA FOUND HERE! Park-Like, Country Setting on 1/2 acre lot--convenient location! 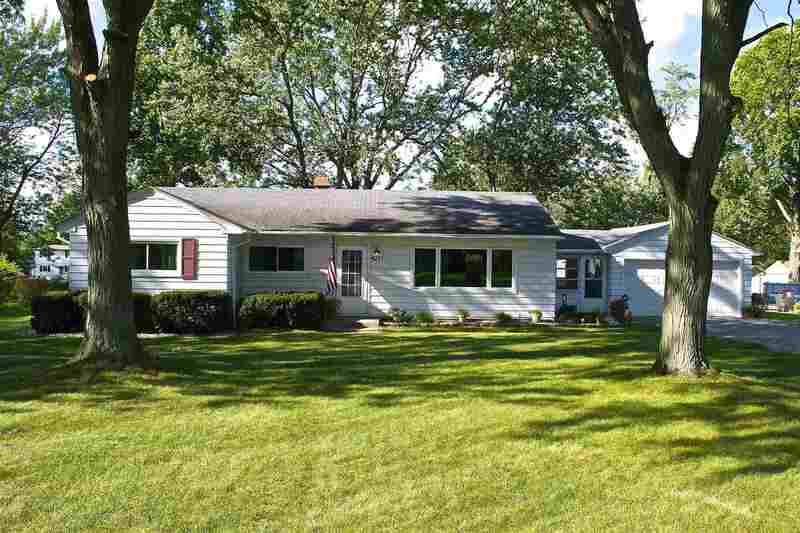 Close to Purdue University FW, shopping, restaurants, easy access to downtown attractions! You&apos;ll find HARDWOOD FLOORS in this Cottage-Style Home, Updated Bath (&apos;18), Newer ENERGY STAR WINDOWS, Charming Built-In Corner Cabinets in Dining Area, All Appliances Remain but are not warranted. Breezeway is included in the square footage and used all year around, enjoyed 3 seasons of the year as an extra 10x10 room. The Relaxing Deck features a Planter Box for your Herb Garden and a larger Garden Area in place at the back of the property, Great Yard for Entertaining--offering some mature trees for shade on the hot summer days...plenty of room for hours of backyard play! Furnace & AC professionally serviced twice a year for optimal performance.